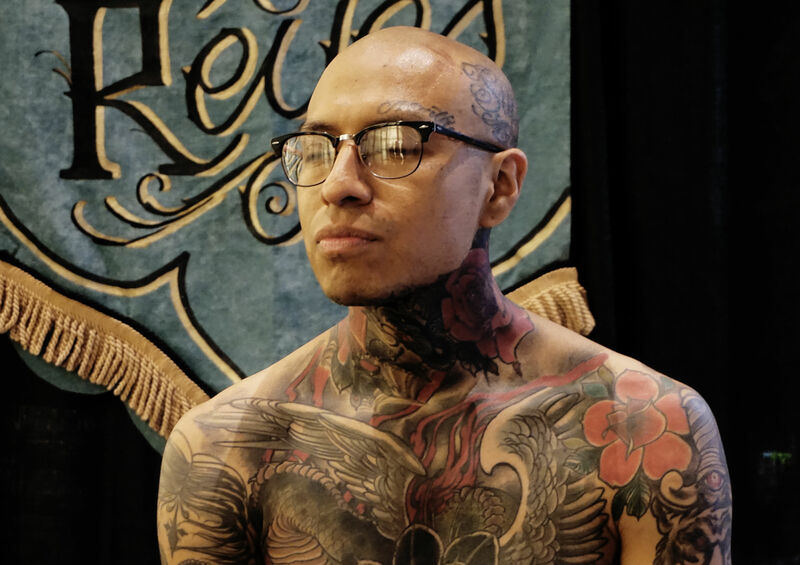 One thing you can expect in California is a chill environment, that’s the weekend we had in Pasadena at the Golden State Tattoo Expo, organized by Inked magazine and co-hosted by Carlos Torres and Nikko Hurtado. 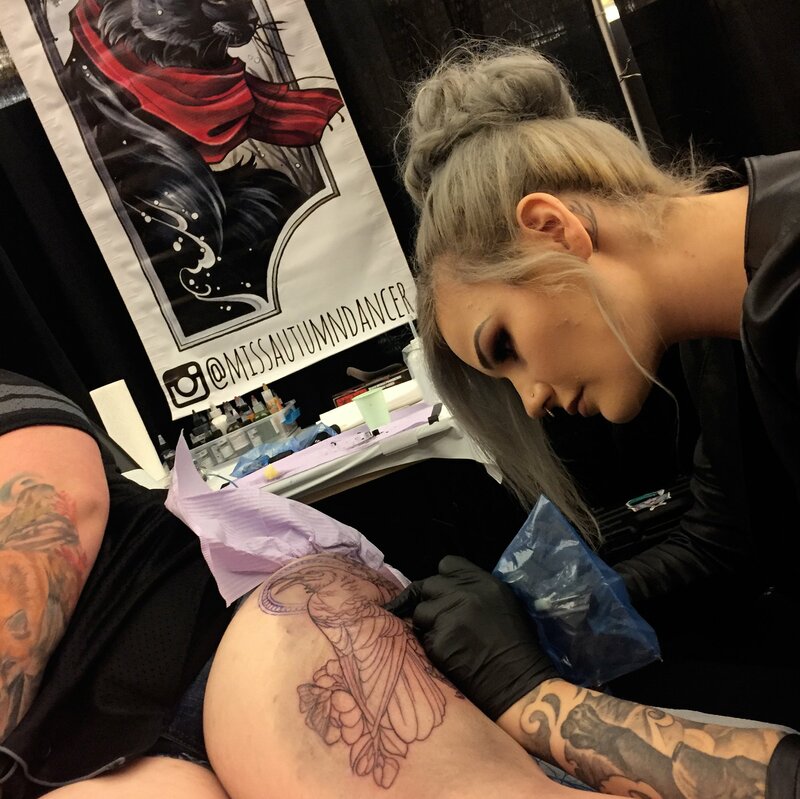 Other headliners were “Ink Master’s” Season 8 winner Ryan Ashley Malarkey and distinguished painter Michael Hussar, the latter instructing a figure drawing class to aspiring artists. 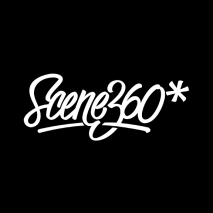 Scene360 hit the three-day event with exclusive broadcasts on Instagram, and interviewed tattooer Michela Bottin about her move from Europe to the United States, in addition to Q&As with Nikko Hurtado who held tattooing workshops at the conference hall—a building next to the Pasadena Convention Center where the expo was running. 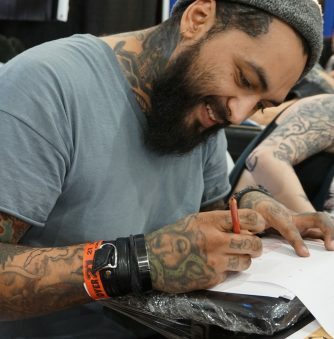 Many hundreds of tattooists filled the large expo, the majority from North America like Joe Capobianco, Phil Garcia, Deano Cook, and Mark Wade. 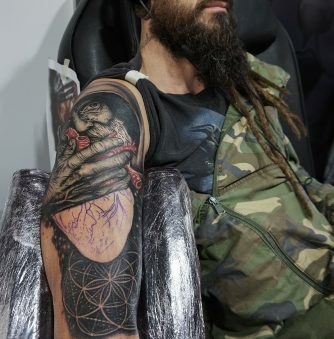 Russia’s Mashkow did an amazing portrait on skin, and Australia’s Chris Showstopper came to impress by winning “Best of Show” for a photorealistic sleeve. 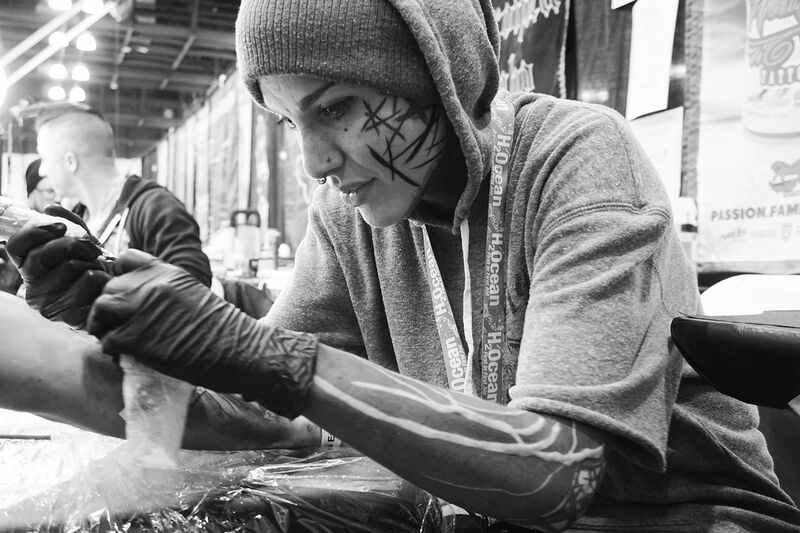 Above: Tattoo artist Jessi Reyes (aka Drahkula) at the Golden State Tattoo Expo. 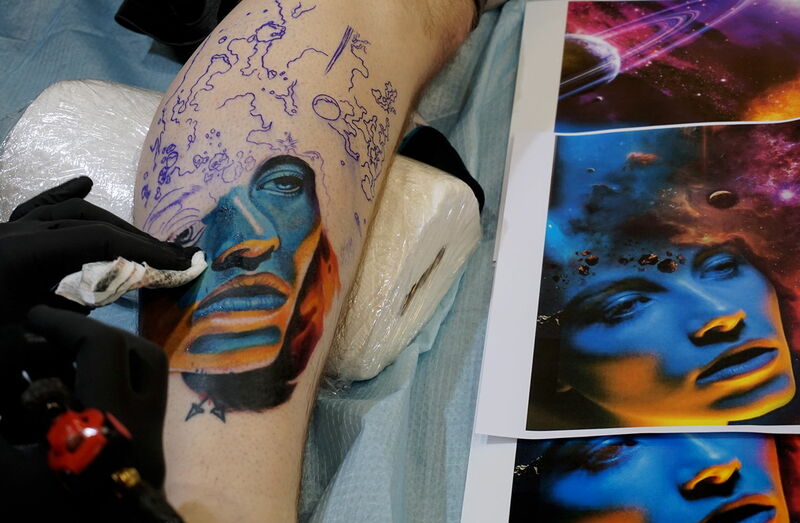 Now working in “Soho Ink” (NYC), Italian artist Michela Bottin brings her colorful art to life on a client’s arm. 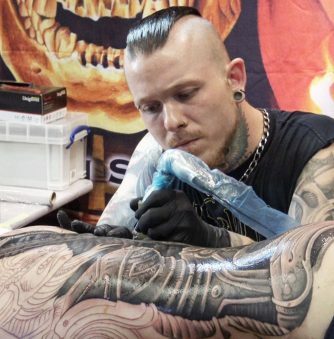 Malaysian Arek inks an elaborate back piece that will take 6 sessions to complete. 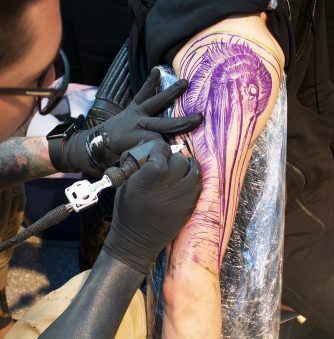 An ornamental tattoo being produced by Tom Maggot. 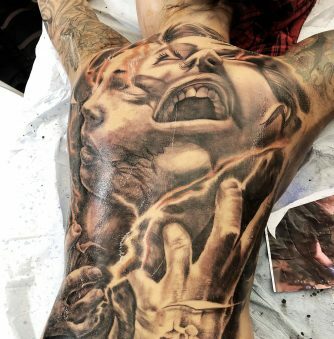 A look-a-like, “color realism” portrait by Poch Tattoos. 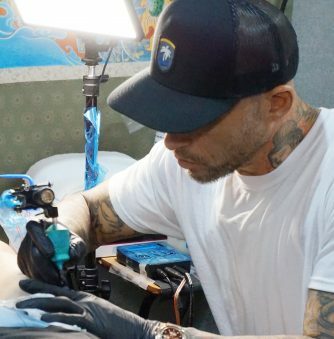 Leland Gomez is from Hawaii and specializes in the neo-tribal style. 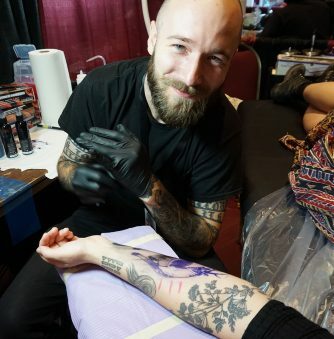 Deanna Smith’s recurring themes are flowers and portraits; at the Golden State Expo she did something completely different. 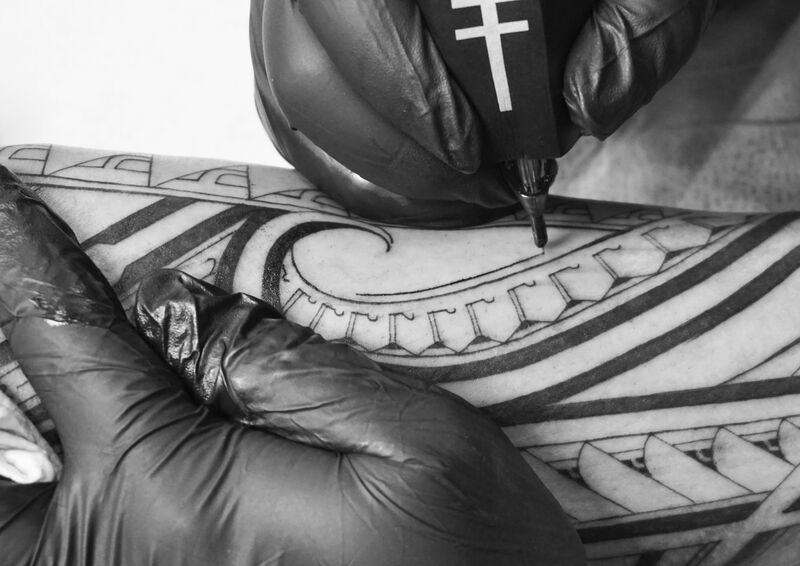 Polynesian-inspired blackwork by Thomas Kuloloia-Juan. 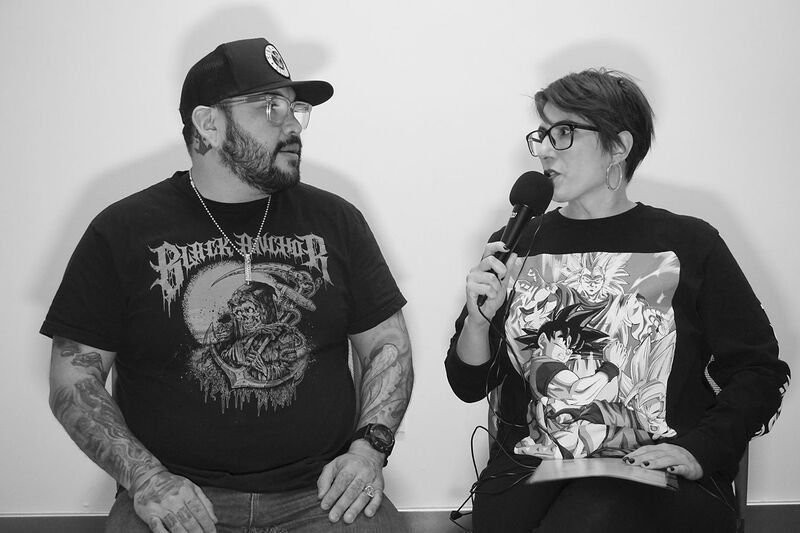 Event headliner Nikko Hurtado being interviewed by Adriana de Barros from Scene360. 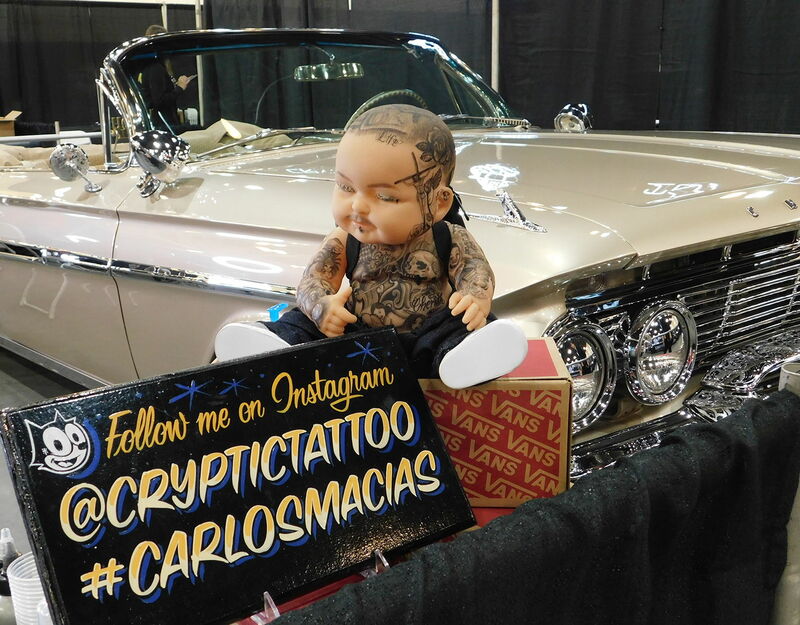 A beautiful lowrider part of the “Cryptic Tattoo” studio’s booth setup. 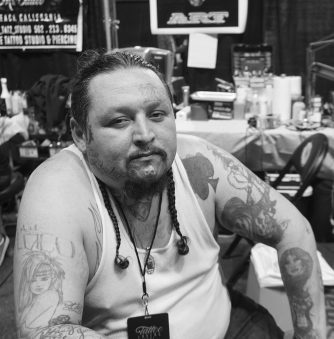 The Santa Cruz Tattoo Expo Rocks!